Hurray! We are here to talk about another best recurve bow for beginners. Perhaps you were with us when we talked about the fantastic SAS Spirit 62 takedown recurve bow in our earlier reviews. The Southland Archery Supply is a well-known company manufacturing modern and traditional bows (compound, cross and recurve) and accessories for a long time. Alike Spirit 62’’, Southland Archery Supply also design and marketed another brilliant bow for the beginners named “SAS spirit recurve bow - 66" Take Down bow .” Those who are like to pull a bit extra draw length that is 26 to 28 inch, Spirit 66 is perfect for them. Nevertheless, we will talk more on this fantastic Spirit 66’’ in our below SAS recurve bow review. Believe, you will stay with us and go from word t​o word. 22, 26, 30, and 34 lbs. 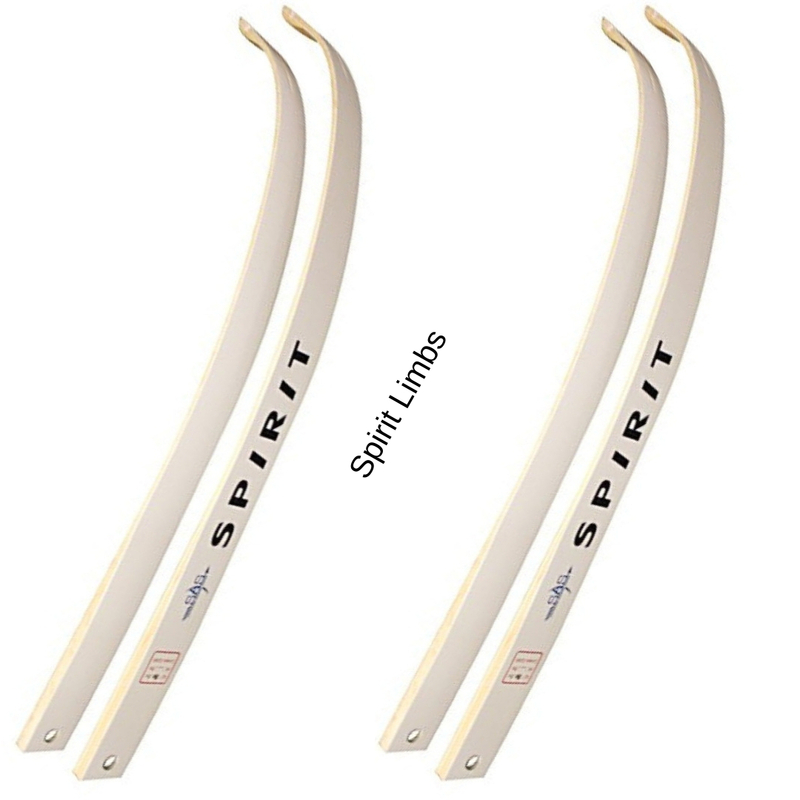 As the Spirit 66 specially made for teenagers or beginner archer, it needs to be durable enough to withstand against the rough use or permit over practicing. Keeping that in mind, SAS use three different types of wood - Chuglam, Gmelina Arborea, and Beech to construct the riser of Spirit bow. The wood collected from the most durable trees of Asia and those bring a beautiful pale yellow to creamy color finish on the riser. The riser support either a right-handed or left-handed person, so during buying you should take care of this issue. However, it consists of a superior grip which is comfortable to hold during shooting practice. The back color limbs made of maple lamination and fiberglass. Fiberglass is one of the most modern materials which used for manufacturing limbs to increase its flexibility without increasing the chances of break down. Also, the use of excellent quality maple lamination makes the limbs stronger. Among other features, lightweight, easy to attach and detached, and easy to transport creates this limbs a unique one. We have called the Spirit 66 as the best takedown recurve bow for teenagers or young adult or adult women as because according to age it designed its draw weight. Like 20# is perfect poundage to start by 18 to 21 aged young adults, and 20# - 25# draw weight is suitable for adult women to begin shooting by a recurve bow. Therefore, our discussible subject SAS Recurve Bow Spirit come up with 22 to 34 pounds which is not only perfect for teenagers or women, also appropriate for adult men to start archery as a beginner. The SAS Spirit bow is easy to shoot and entertaining bow having the ability to fulfill your demand as an entry level archer. The ergonomically design handle ensures a smooth and comfortable grip. The arrow shelf is well designed to guarantee accurate shooting. Long size bow is forgiving in nature and shoots pretty straight. Though the draw weight 22 to 34 pounds is not able to provide much power during the shot, the bow is potent enough for target shooting. As an inexpensive option, the SAS Spirit 66 does not include so many things like a priced recurve bow. It contains only a bow and a string in its package. So, to start shooting, you have to buy additional gear like finger tabs, arm guard, string-nocking point, quiver and of course some arrows. The embodied string is not good enough, so you have to replace it with a better one. The Spirit archery bow does not come up with an arrow rest but the same you can do easily with the help of any local store nearby you. To enhance the performance and accuracy, you should also add a felt over the naked arrow shelf. Q1: Is the limbs are takedown? Can I change those with other brands or higher draw weight? Ans: Yes, the limbs are a takedown. You can detach them during transportation. There is a confusion about the change of limbs with higher draw weight. To know that you can contact the manufacturer. However, this is a cheaper option, if requisite you can buy a separate bow for higher draw weight. Q2: What is the recommended shooter height for this bow? Ans: The recommended shooter height is 6’. However, shorter or taller person than 6 feet also can shoot with this bow comfortably. Q3: Is there any predrilled for sights, stabilizer, and plunger? Ans: Yes, it is pre-drilled for sights and stabilizer and has a threaded hole on the opposite side of the arrow rest which is for the plunger. Solution: With such a low budget range it is not possible to afford high-quality string, though they did not compromise the quality of bow. However, it is not a big deal to replace the existing string with a new quality one. Solution: Every device needs small or large assembling prior use. However, in that case, manufacturer include an assembling instruction with its package which is missing in case of SAS Spirit 66. Whatever, it is not a difficult task, you can do it yourself or take a little help from YouTube channels regarding this. Solution: As I said it is an economical package. So, it is immoral to desire all necessary accessories along with the bag. If you decide to purchase it, you have the mindset that you have to collect accessories by paying extra. If you are indeed looking for an affordable bow, then its lower price tag won’t be a bar. If you like to present a surprise gift to your child with something stunning, then SAS Robinhood longbow is a good choice. This bow is little short 59-¼’’ than Spirit which will be operable by below 6’ happily. Also the draw weight 30 to 35 pounds and pull length 22 to 29 inch is ideal for any adult beginner as well as teenagers to start archery. Robinhood longbow also come up with two different color options: black and brown. You can shoot 28-inch fiberglass arrows with this bow at 150 fps speed accurately. The best part of the Robin Hood bow is it includes arrow rest, arm guard and two arrows to start shooting immediate after reached your hand. So, if you like a full package, then you can choose it. Overall SAS Spirit 66" Take Down Recurve Bow is the best in its segment. The downsides of this bow outweighed by its pros. The beautiful look, accuracy, forgiving nature, flexibility, and durability are excellent features for an archery bow, and I am sure that you will also love this SAS spirit recurve bow. We all know that the value defines the quality of the things. Finally, SAS offers three years limited warranty on its product. So, the poor quality string will not be the deal breaker anymore.